Marcus Carinna hears a voice whisper, "Your turn," as he rides past his family tomb. An unseen presence also startles the Germanic priestess Aurima, whom he is bringing to Rome. But hardheaded Romans scoff at ghosts, and Marcus can't believe it's a warning from his brother, who killed himself three years earlier. 37 AD: To great acclaim, 25-year-old Caligula Caesar has become Rome's new master. No one is more pleased than Senator Titus Carinna, who helped him succeed to the throne. It's a shame the Senator's older son--Caligula's closest friend--committed suicide after being charged with treason. But that still leaves Marcus, his second son. Headstrong and hot-tempered, Marcus would rather prove his courage by leading legions against Rome's enemies than take his brother's place. Yet when his father orders him to befriend Caligula, he has no choice. Caught in a web of deceit, conspiracy, and betrayal, he will uncover a secret that threatens his family, the woman he desires, even his life... and may bring chaos to the young Roman Empire. 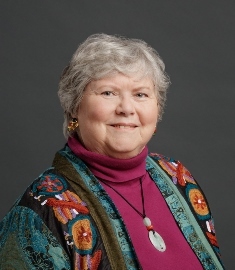 After earning a Phi Beta Kappa creative award in college for an early draft about a nobly born charioteer, Sherry Christie spent many years of research and revision developing ROMA AMOR into the story about fathers and sons that it wanted to be. It's a joy to immerse myself in the lives of first-century Romans--and a distinct change from my day job. In addition to writing, Sherry is a professional copywriter. She lives on the coast of Maine with a native-born Viking and two cats. 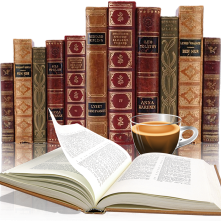 For more information, please visit Sherry Christie's website. You can also connect with her on Twitter, and Goodreads. 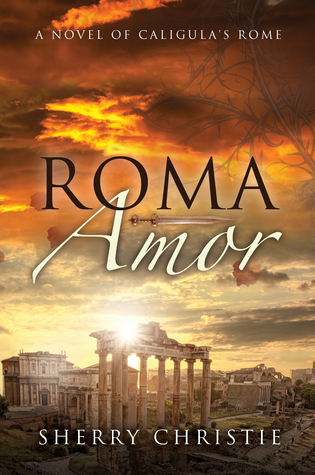 To win a paperback copy of Roma Amor: A Novel of Caligula's Rome by Sherry Christie, please enter via the Gleam form below. 2 copies are up for grabs!